Five-time world boxing champion Vinny Paz talks motivation, his upbringing and the near-fatal car crash that left his future in the ring uncertain. 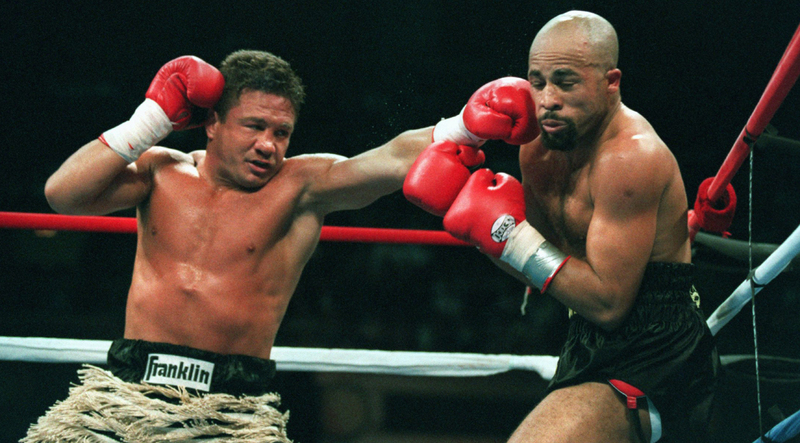 Boxer Vinny Paz was left with a broken neck after a near-fatal car crash. Thirteen months later he became world champion again. Stories like this only seem real in movies. But his is real, and it’s coming to a theater near you in Bleed for This. It is ironic that the story of the man who calls himself the Pazmanian Devil starts with a pitchfork. During the second world war in Italy, Angelo Pazienza, then only 18 but the future father of Vinny Pazienza, who became five-time world boxing champion, killed a German soldier trying to steal an animal from the family farm, driving a pitchfork through his heart. To avoid arrest, he fled to America. In his late 20s, he met his wife Louise and they settled in Rhode Island, and in December 1962 their son Vincenzo Edward was born. He had 112 amateur bouts, winning an even 100, and sparred as a teenager with Mike Tyson and Evander Holyfield at the Olympic trials. In May 1983, aged 20, he had his first professional fight, a fourth-round TKO of Alfredo Rivera, in Atlantic City. By the end of that year he had fought nine more times and won all of them, three by knockout, the rest TKOs. From 1984 through 1986 he fought 12 more times, losing for the first time in December ’84, in Milan, Italy. In June 1987, he got his first crack at a title and won the IBF lightweight championship with a 15-round decision in a war over reigning champion Greg Haugen. In February ’88, Vinny lost the rematch, and belt, but by November was given a shot at the WBC junior welterweight title, which he lost to Roger Mayweather, Floyd Mayweather’s uncle. In 1990 he had two more cracks at world championships at that weight, the WBO and WBA belts, and lost them both, to Hector Camacho and Loreto Garza. A year later, in October and in Providence again (where he never lost), he won his second world championship, beating French WBA junior middleweight champion Gilbert Dele, knocking him out in the 12th round. He was 28 years old and in all the ways that we understand the phrase, he was on top of the world. Weeks later he was nearly dead.